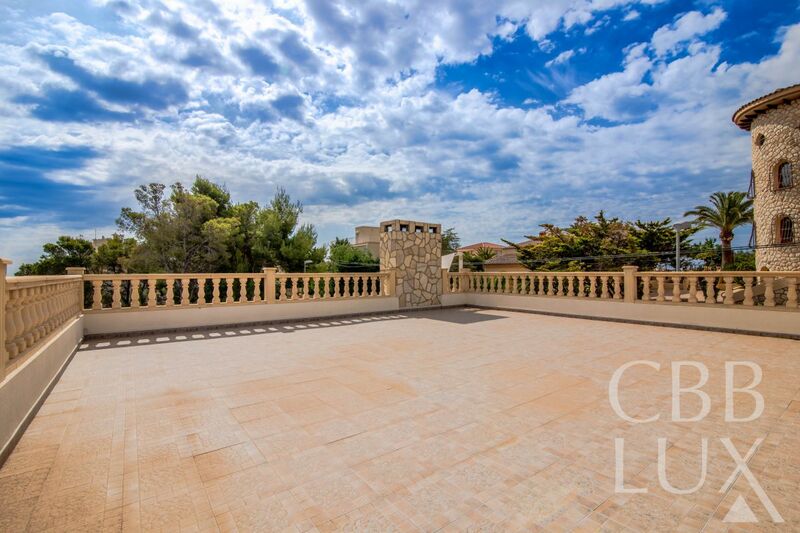 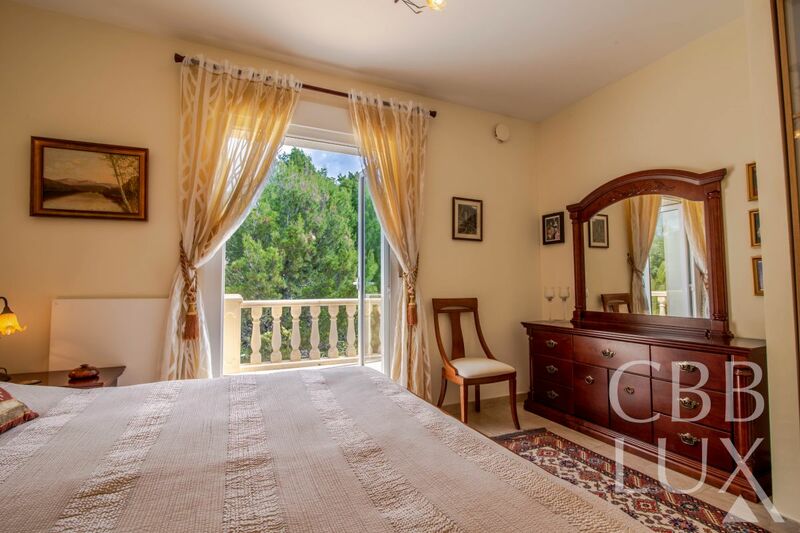 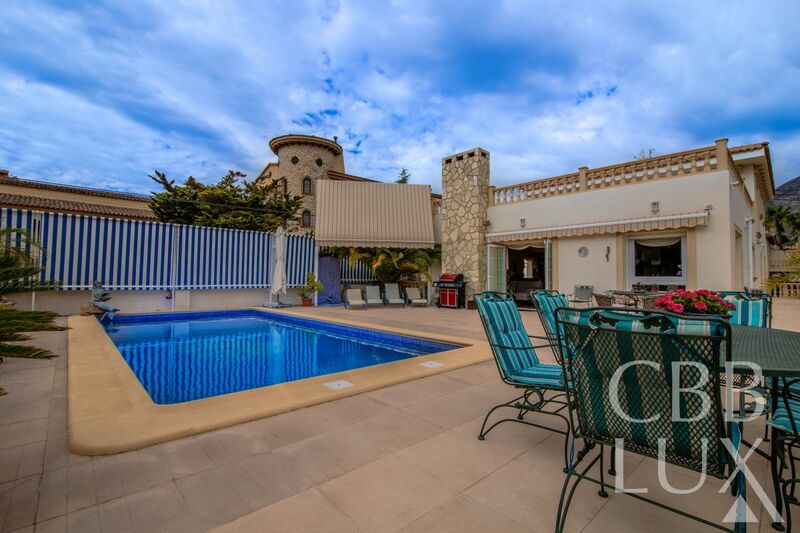 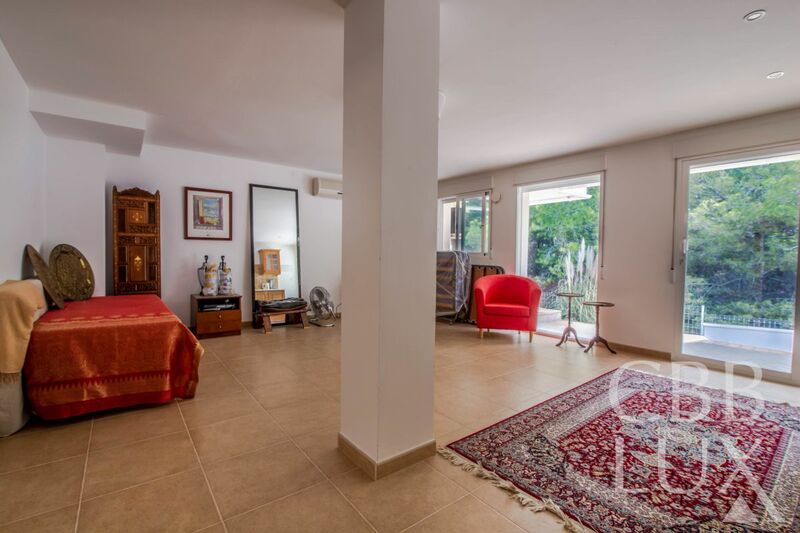 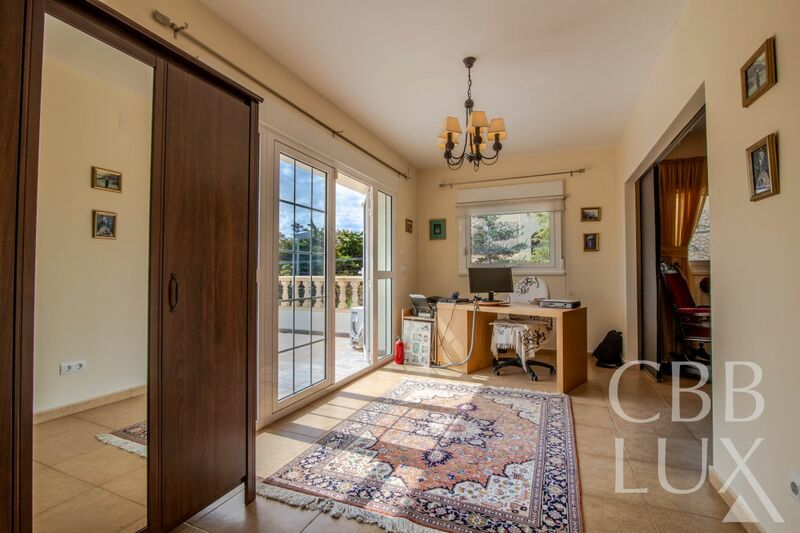 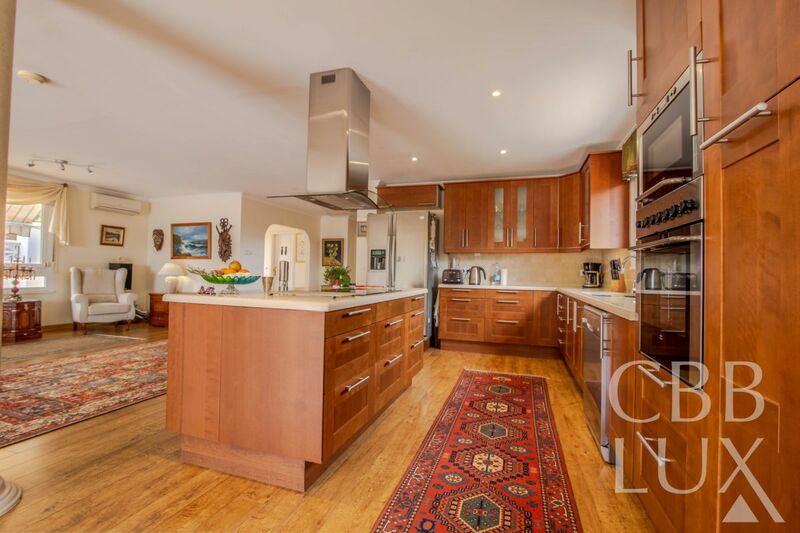 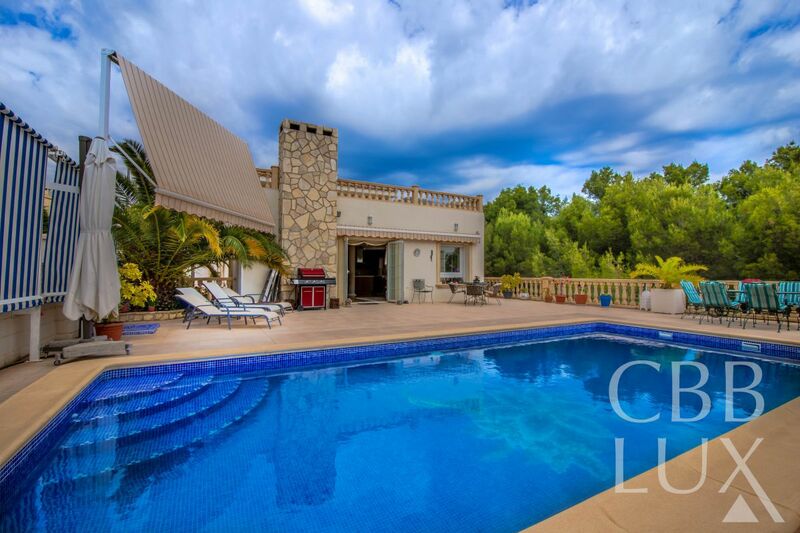 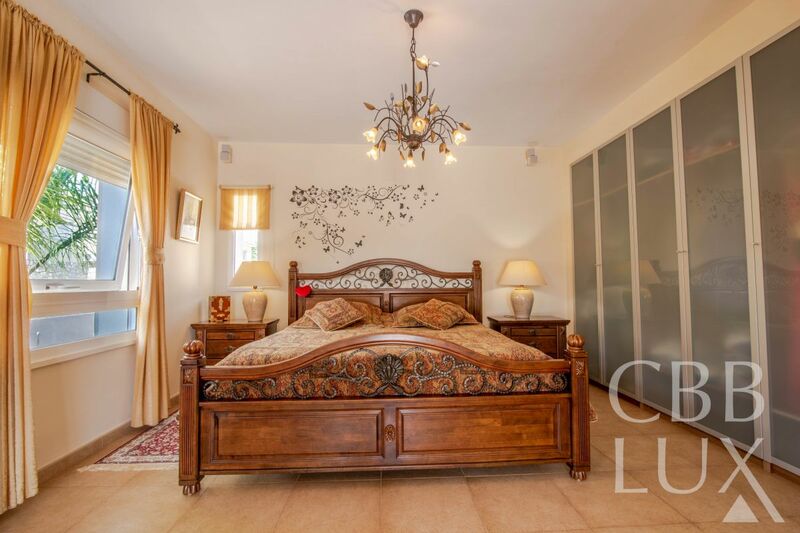 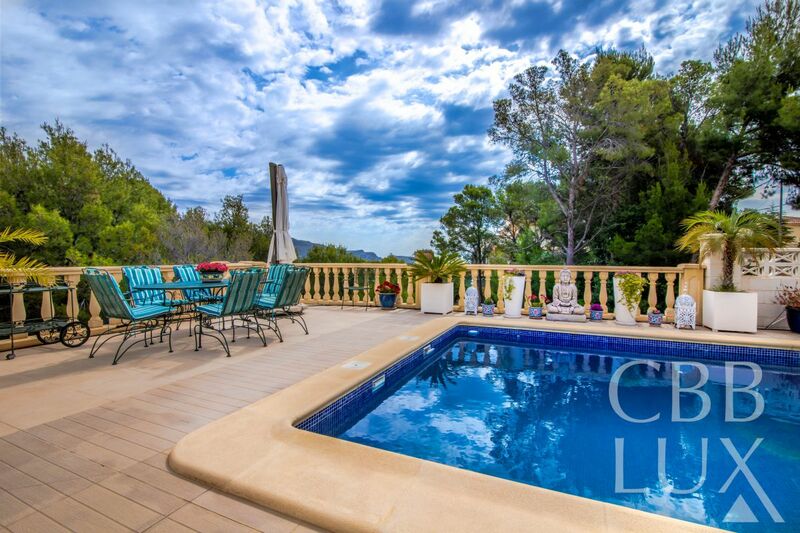 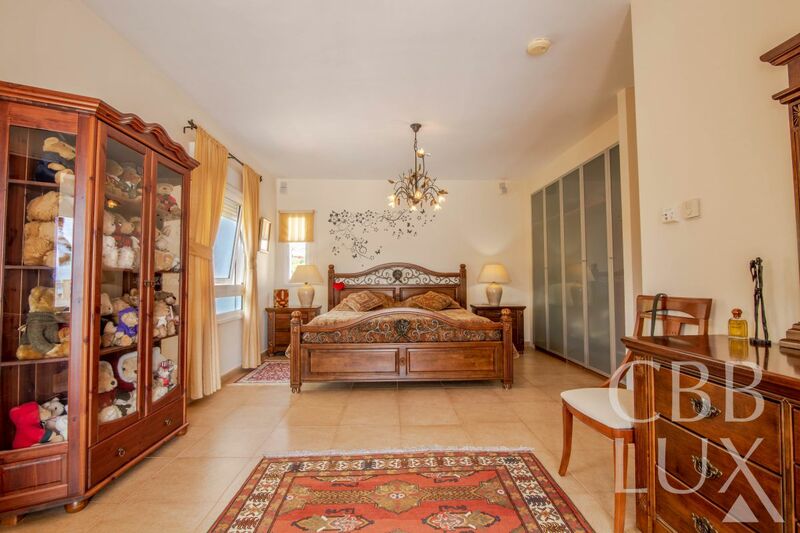 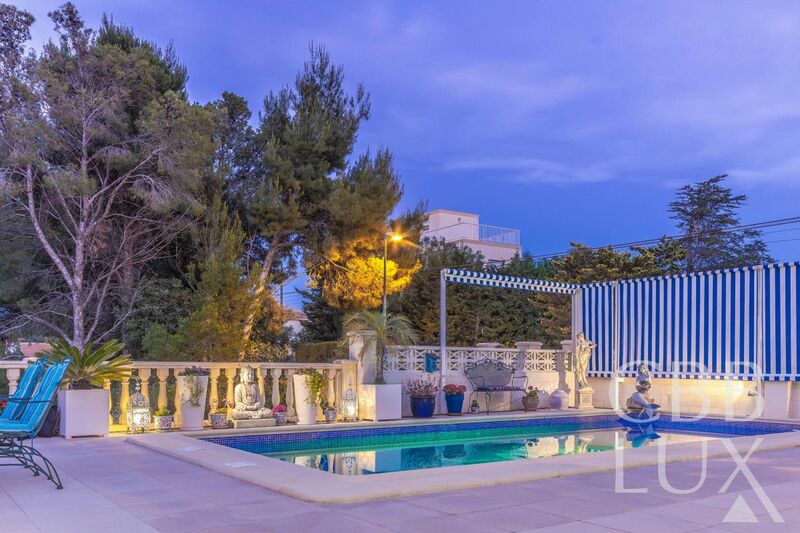 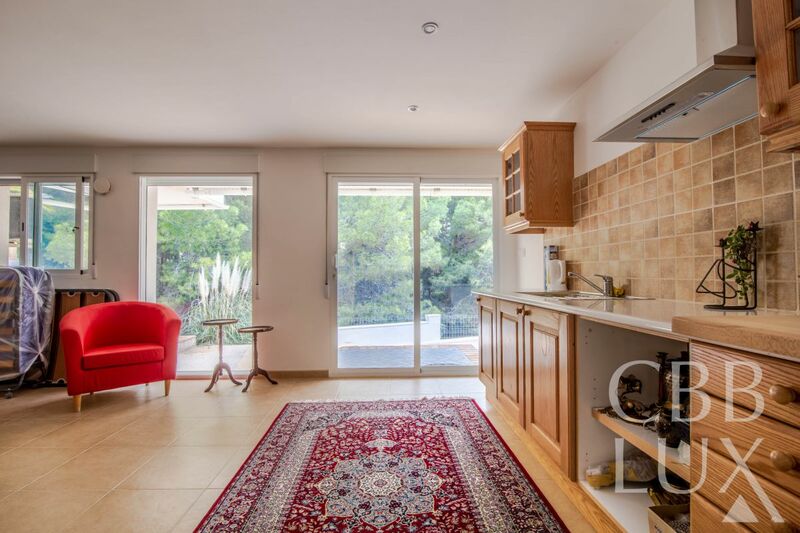 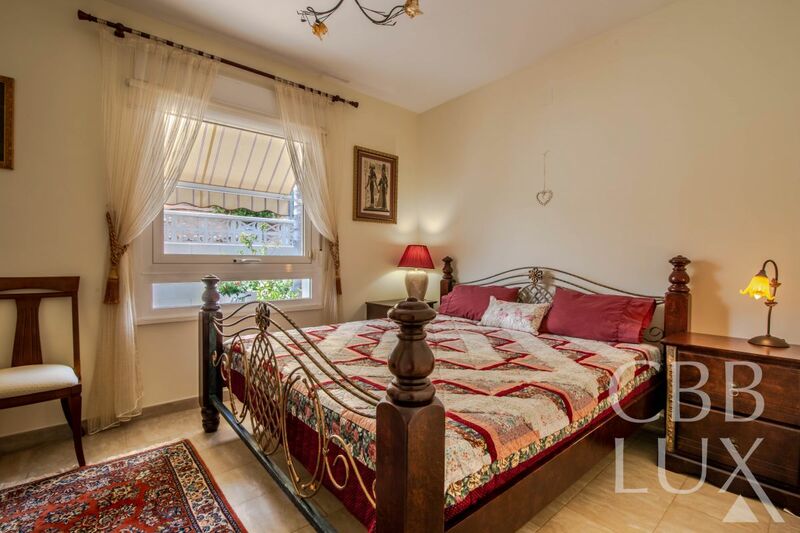 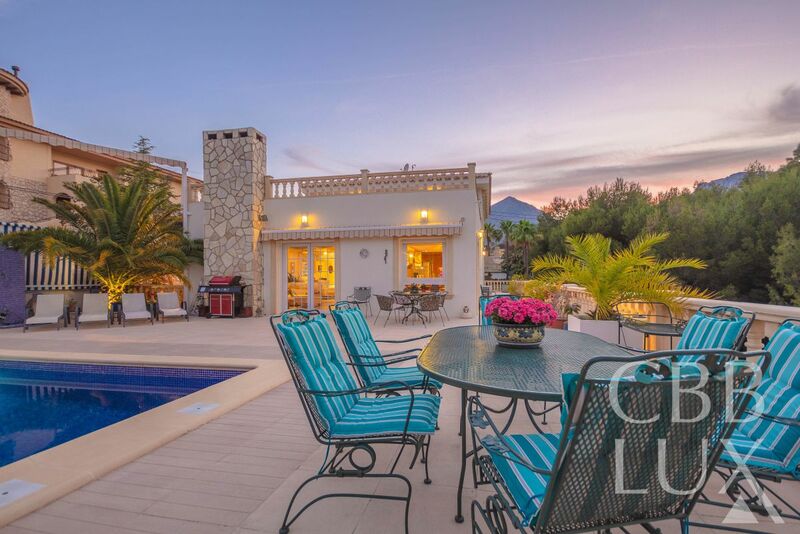 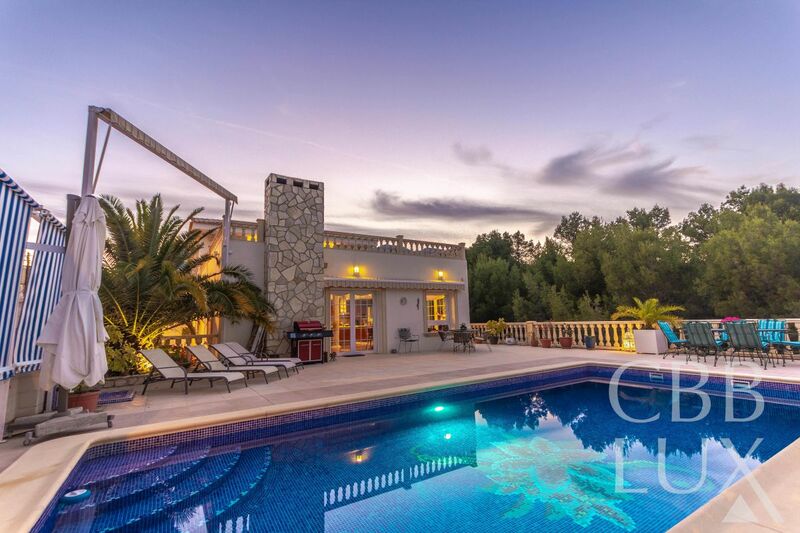 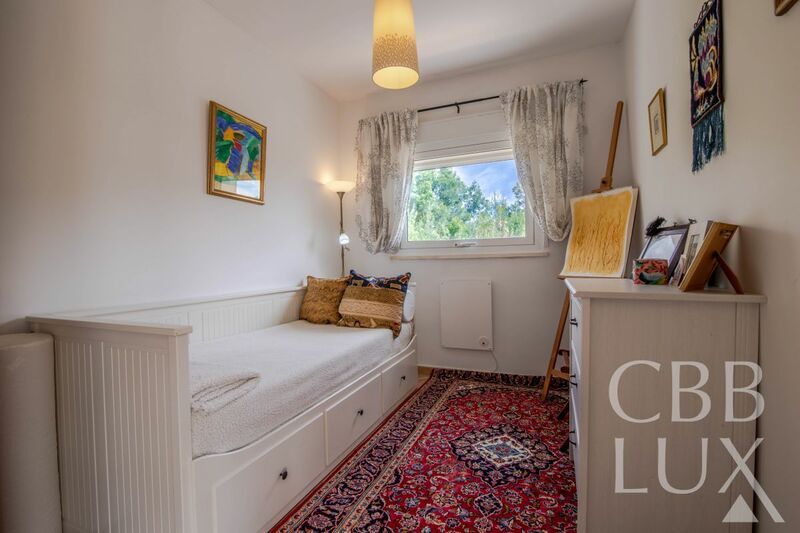 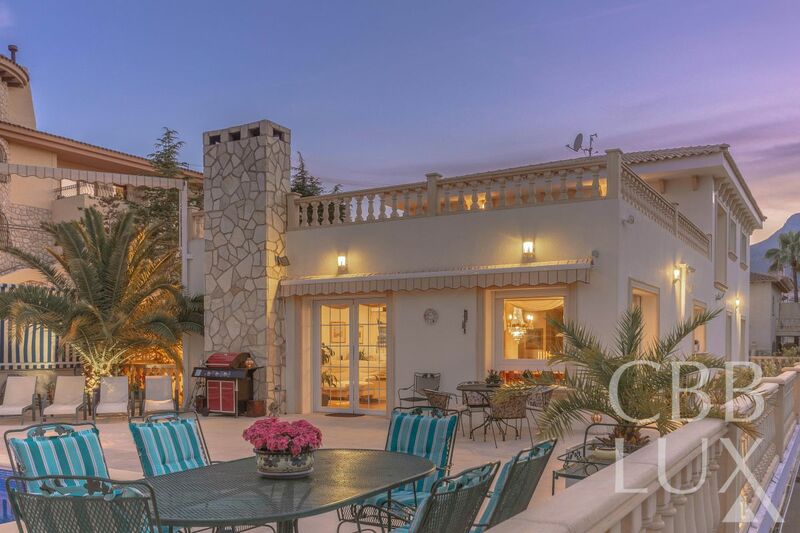 This great luxurius villa you will find in La Nucia in a quiet and family friendly area. 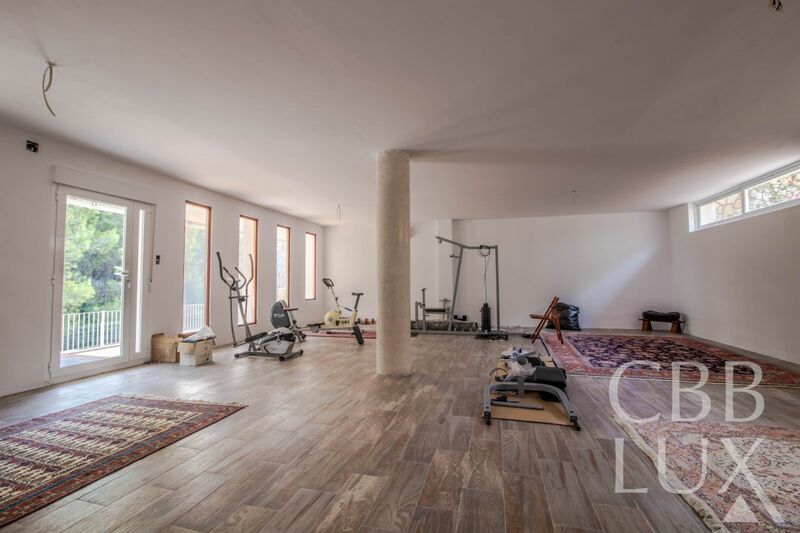 The house has a total of 428 square meters. 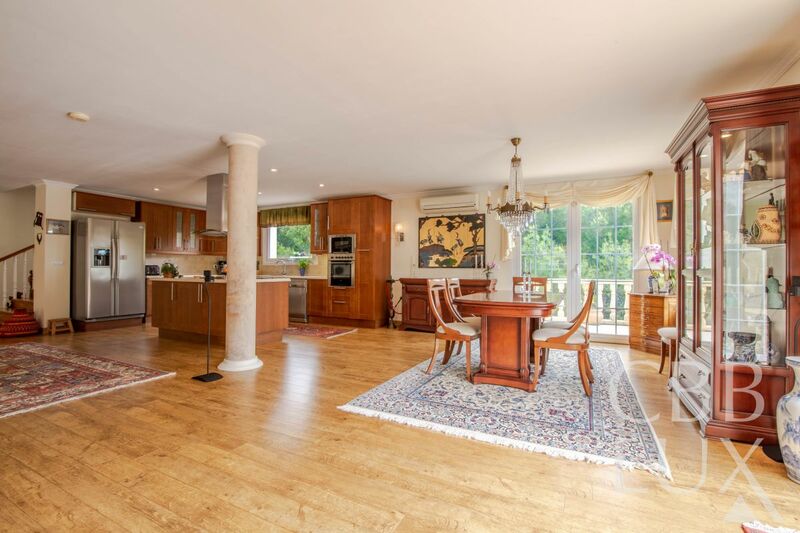 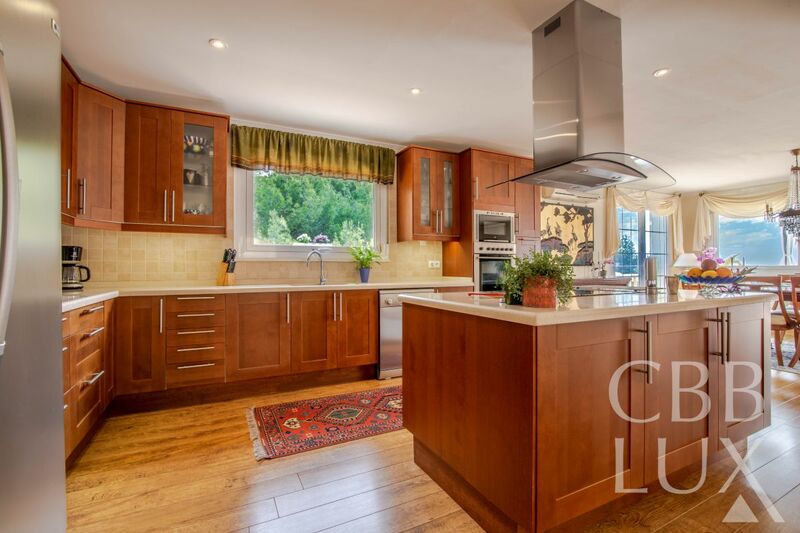 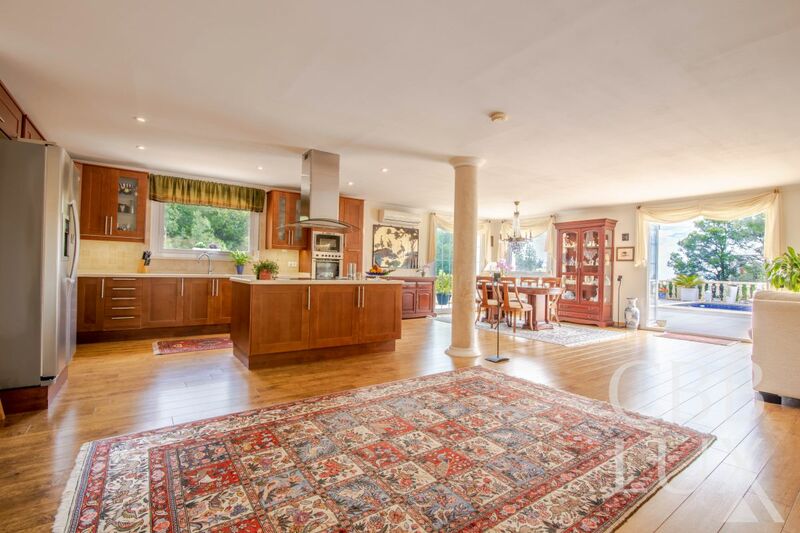 The main floor contains a big living room with open kitchen, a dining area, three bedrooms, one bathroom and wc. 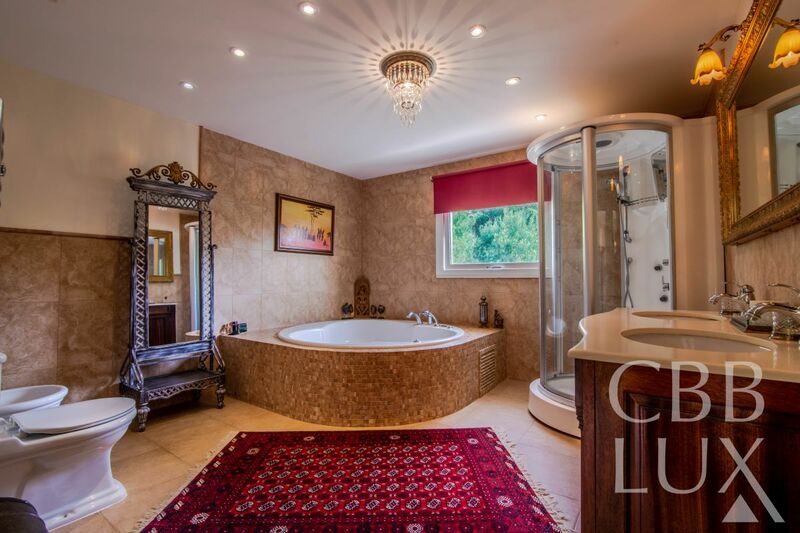 On the second floor you will find one office, one bedroom plus main bedroom with en en-suite bathroom which has a separate steam shower and bubble bath. 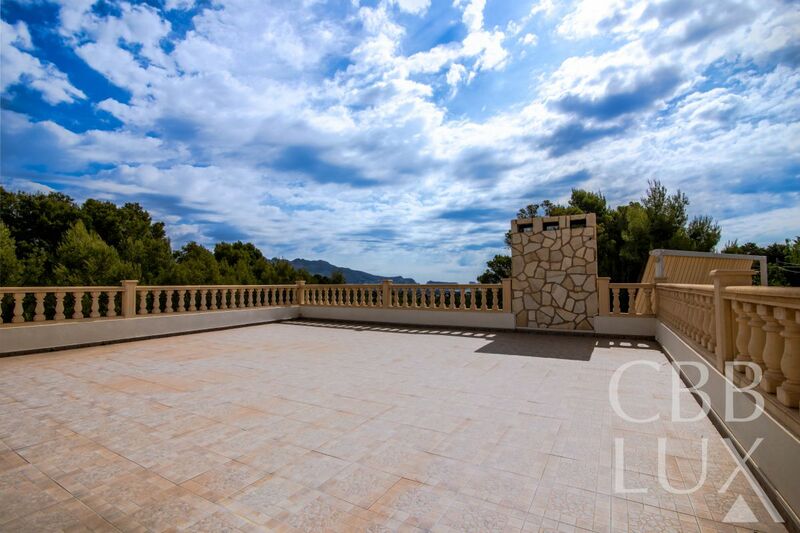 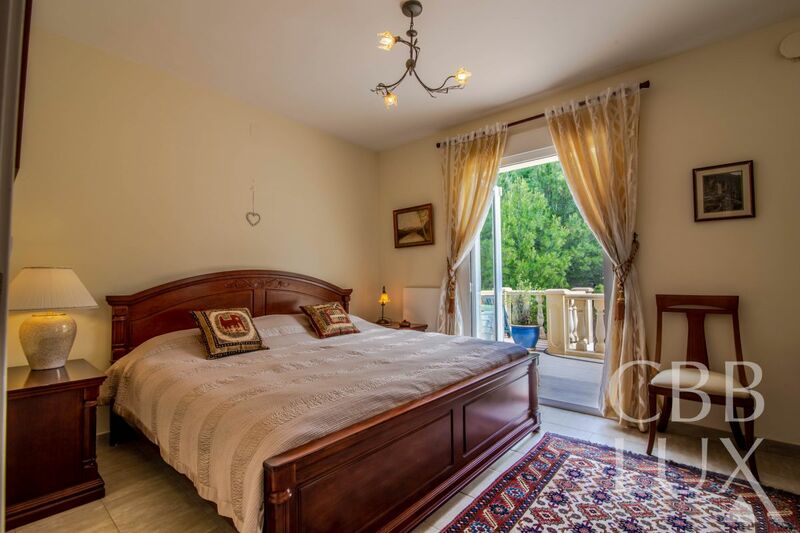 Here you will also find a large terrace with stunning views over the sea and mountains. 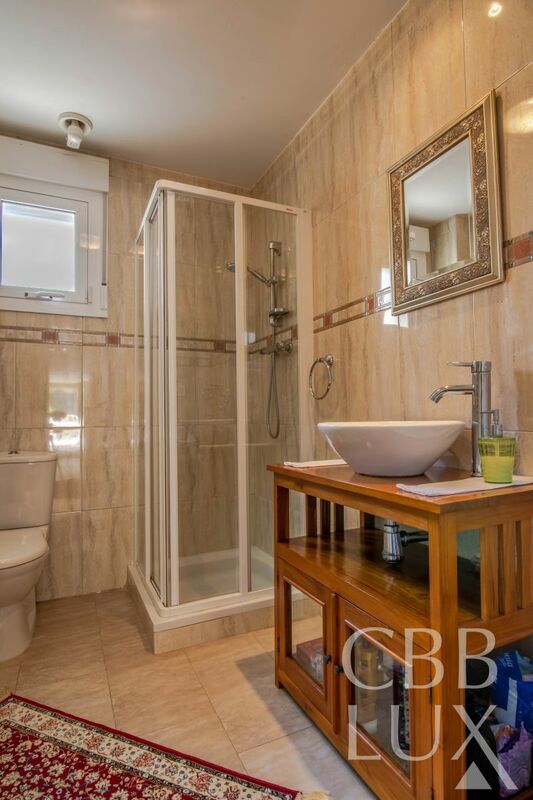 Downstairs you will find a separate apartment with one bedroom, living room, kitchen and a bathroom. 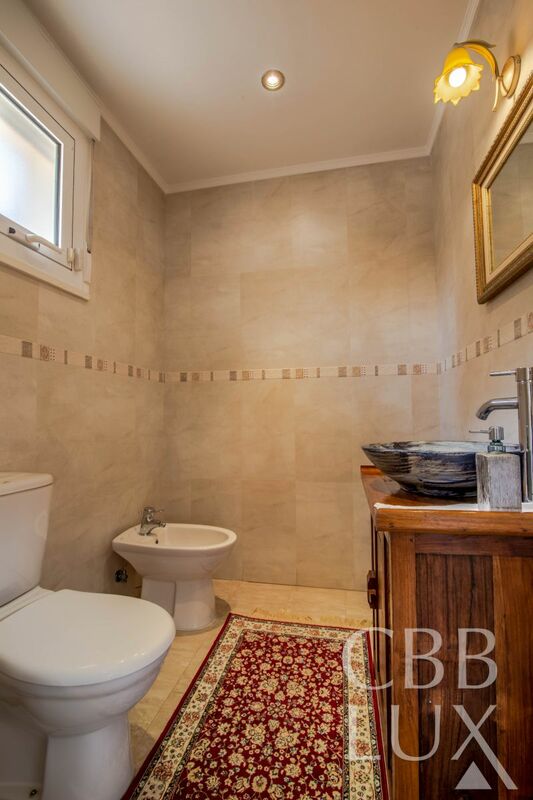 Here you also have the possibility of another apartment if desired. 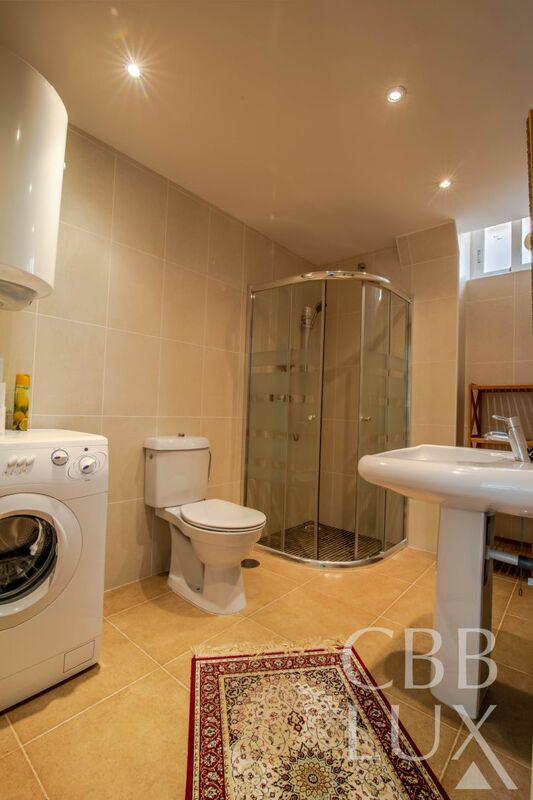 The house has floor heating. 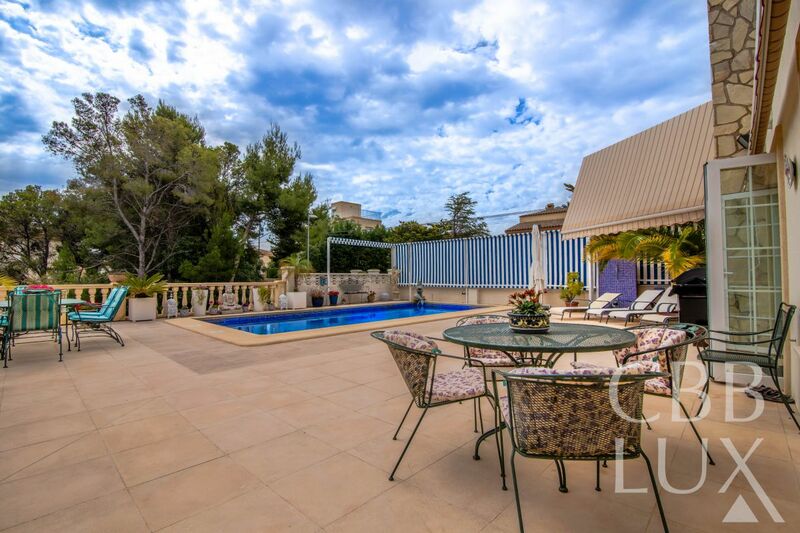 You will find a great pool in the garden, with several sitting areas.This is a new and unique villa of the highest quality, which a visit is highley recommended.